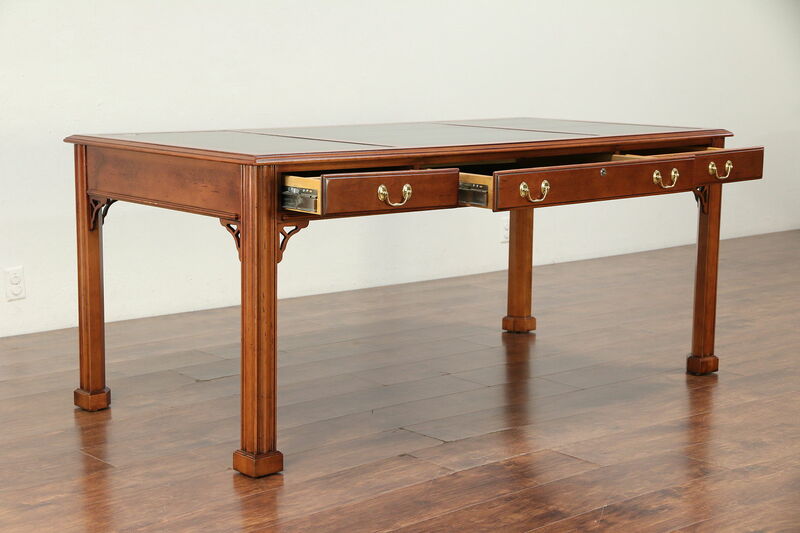 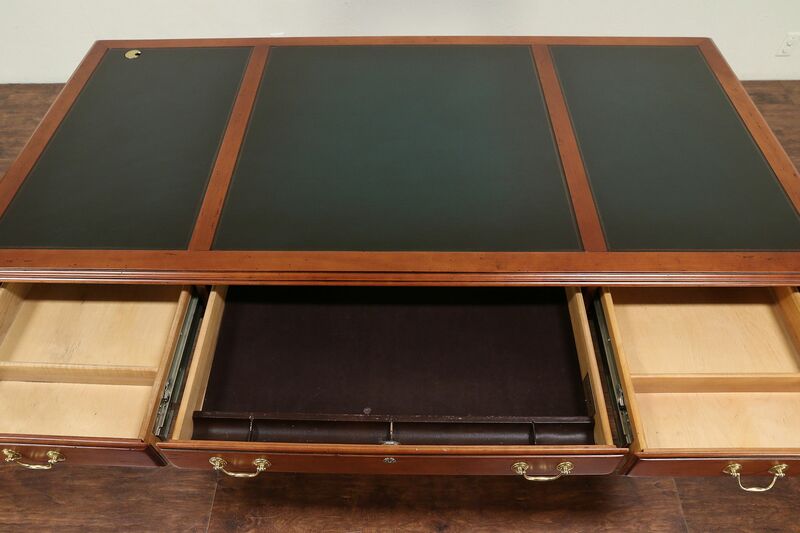 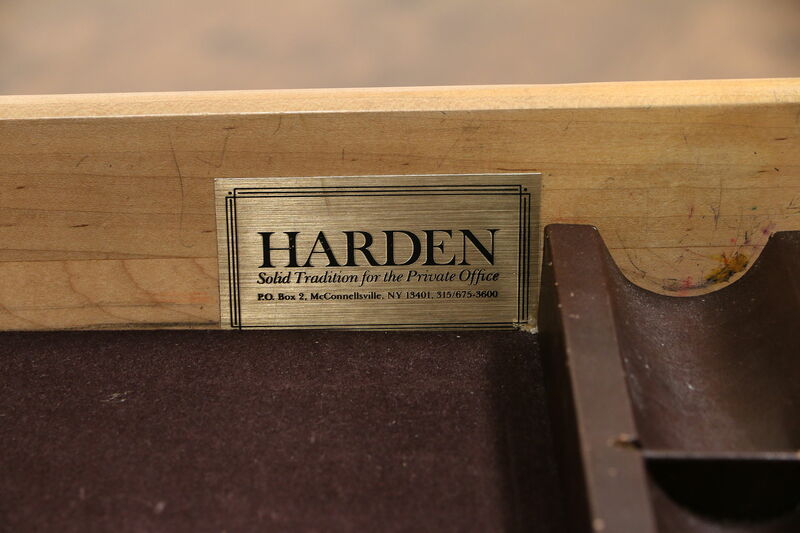 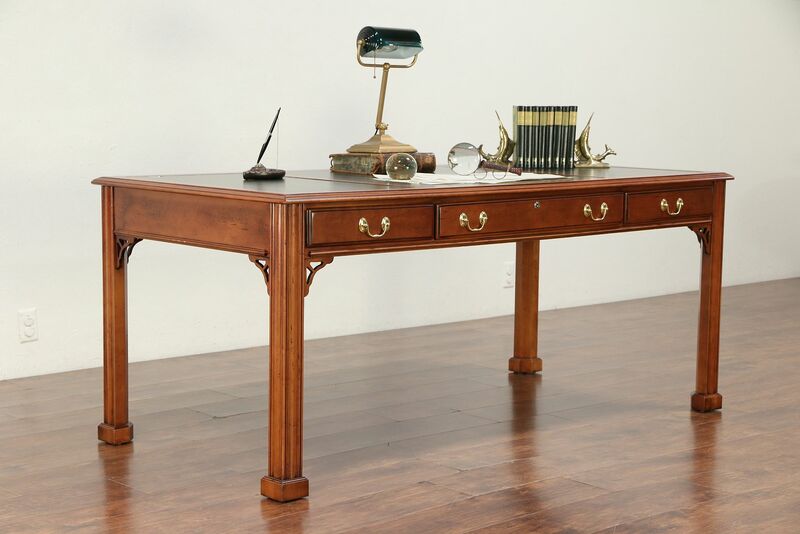 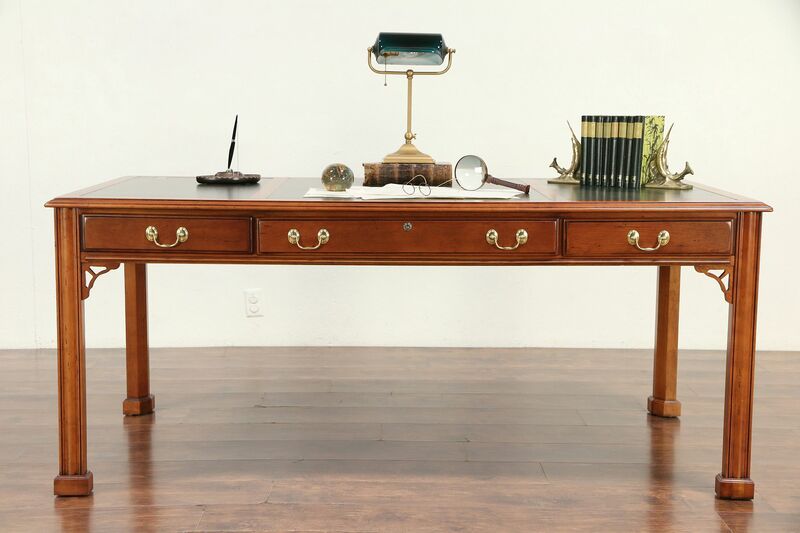 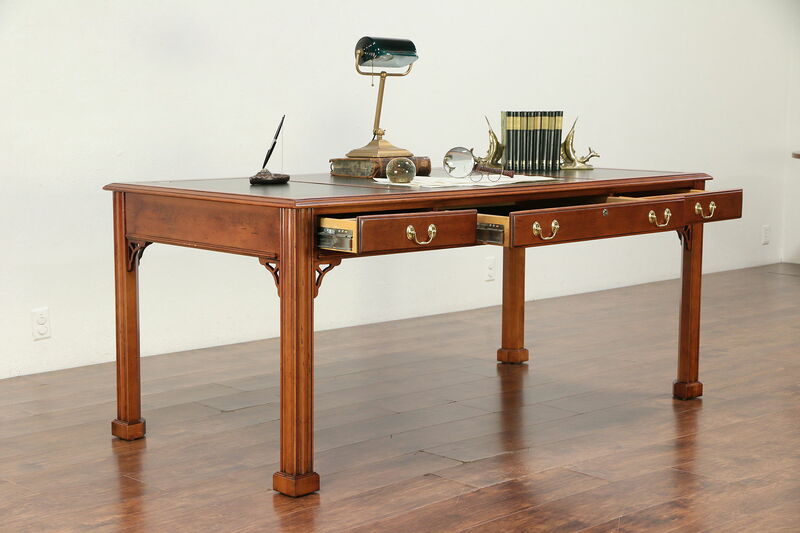 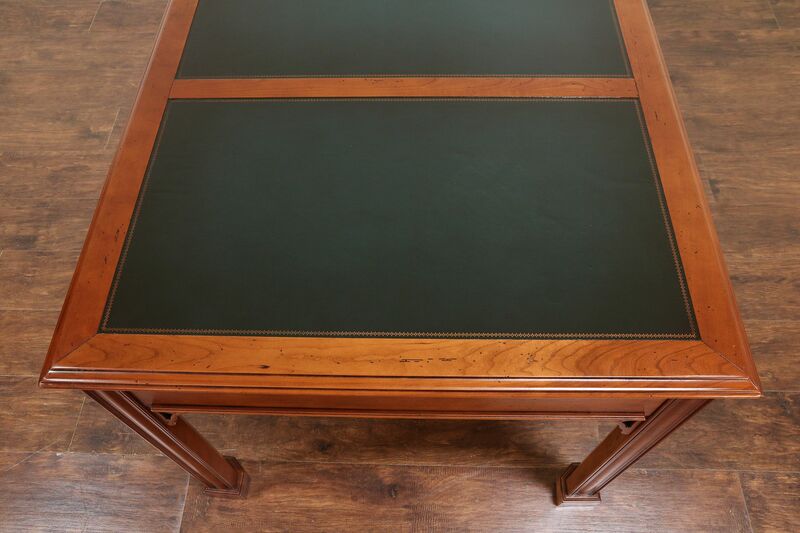 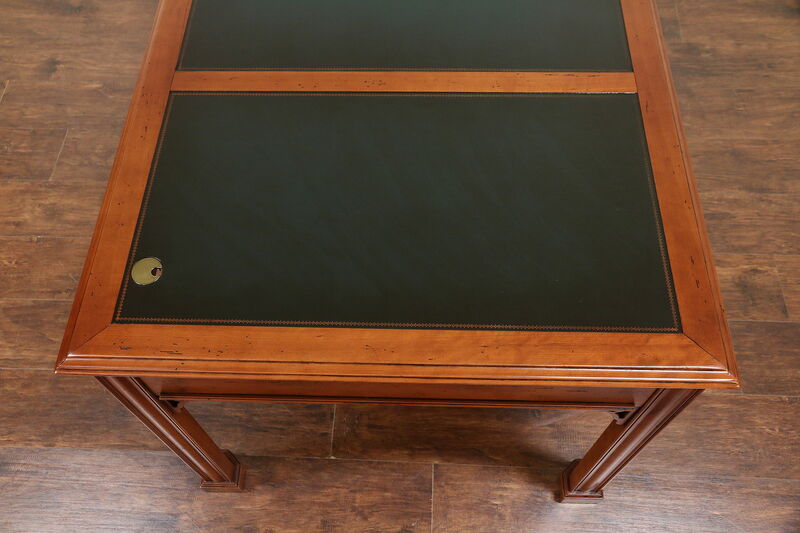 A traditional solid cherry library or writing desk from about 30 years ago has gold tooled leather panels, signed by luxury maker, "Harden." 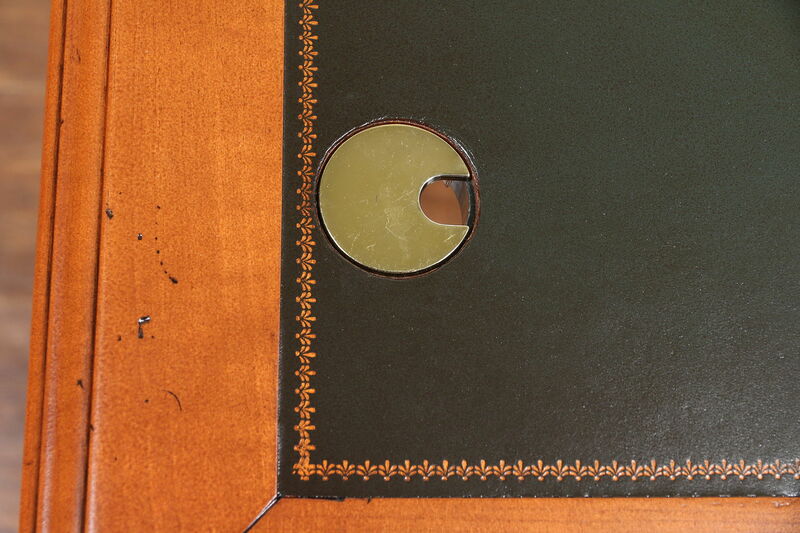 The restored finish is in excellent condition with a little "distressing" to look antique, preserving a few mars in the leather for a little character. 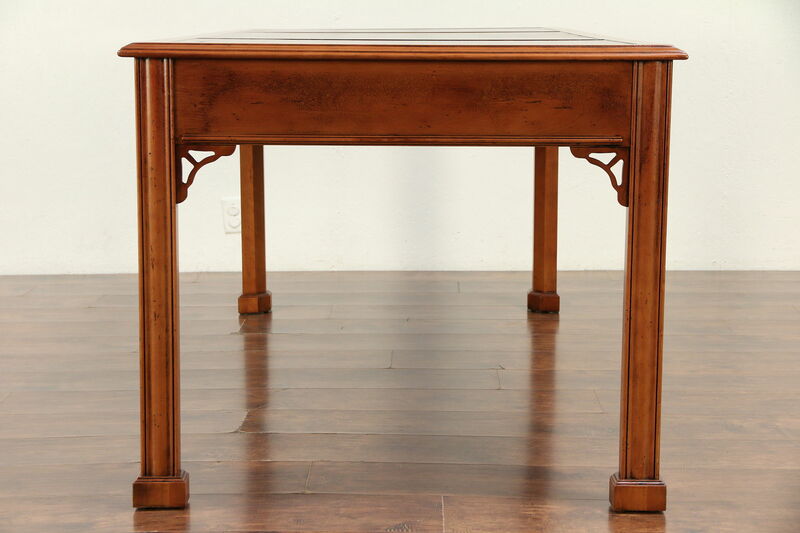 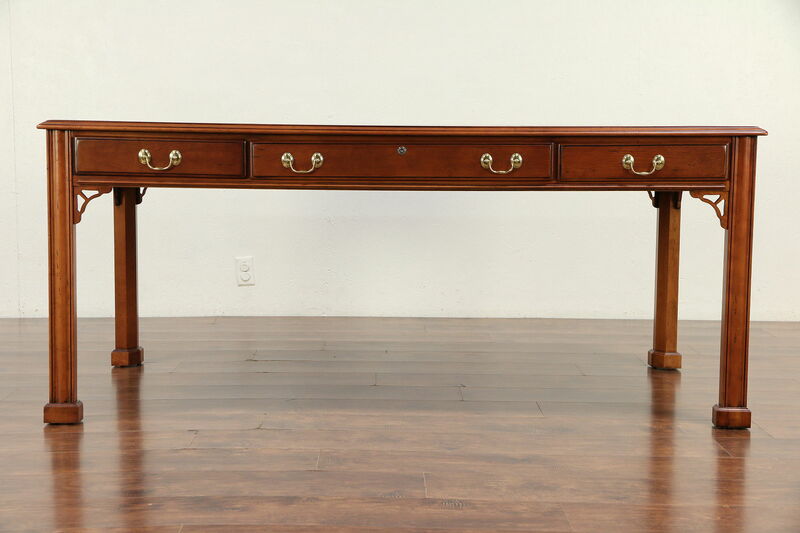 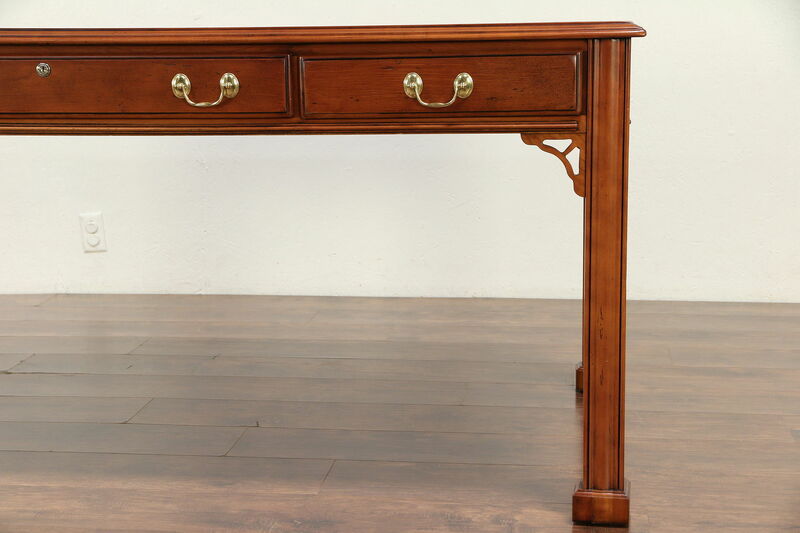 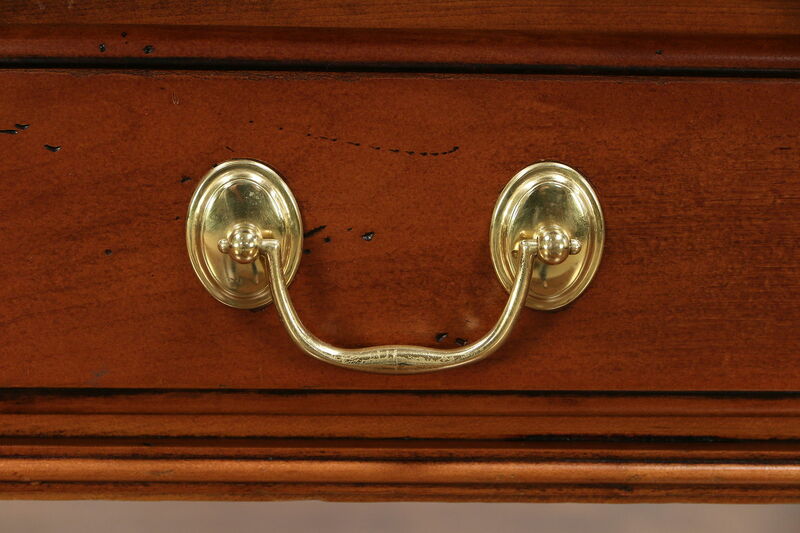 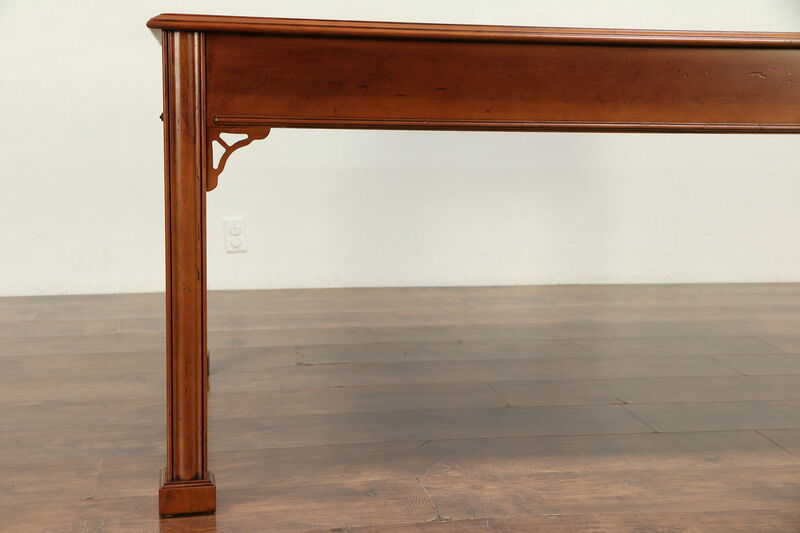 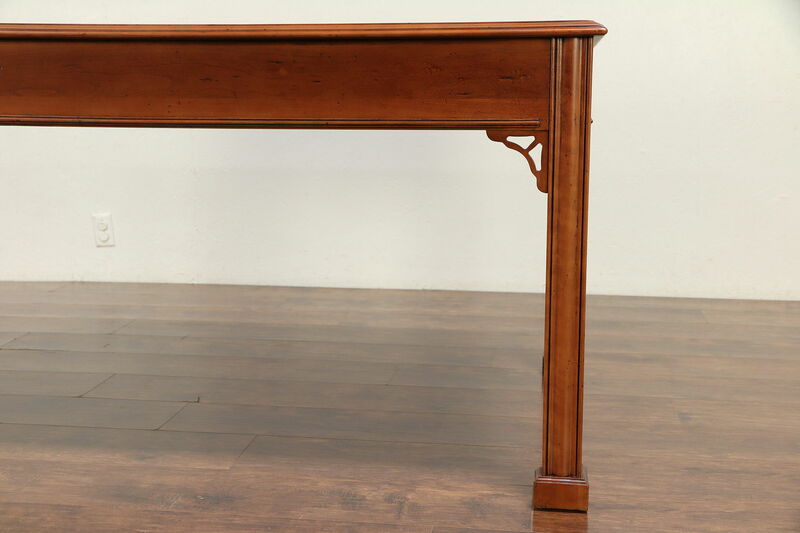 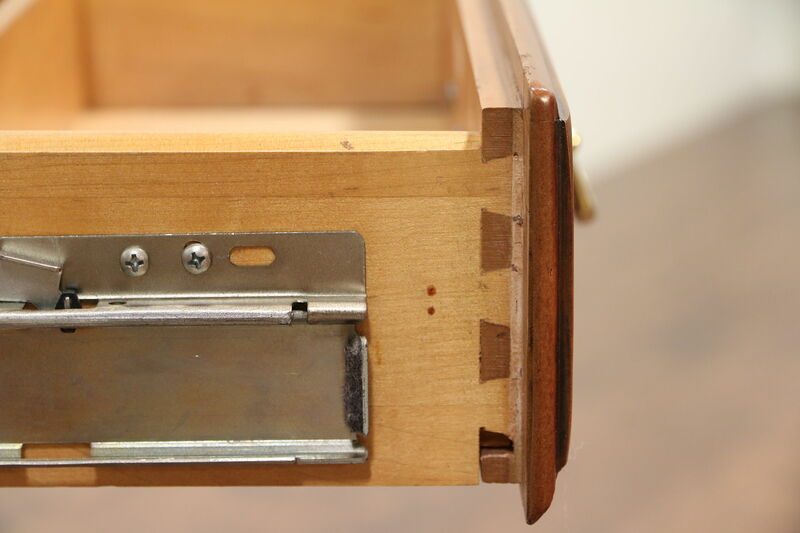 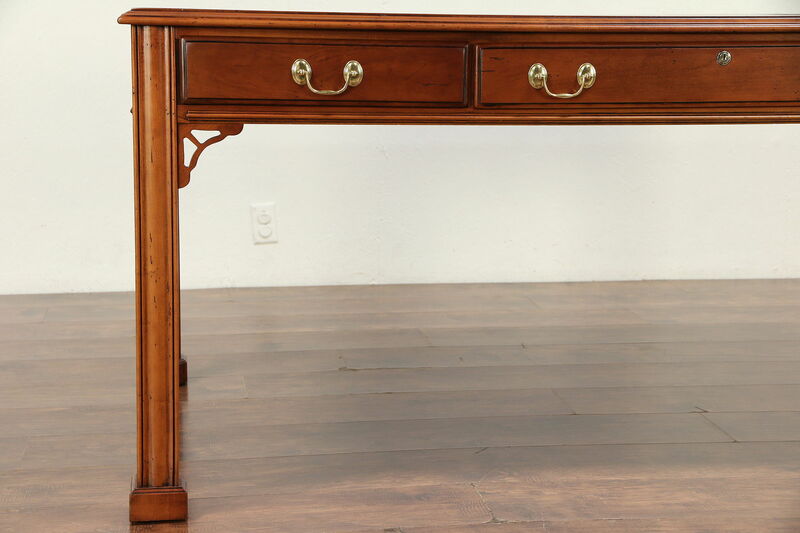 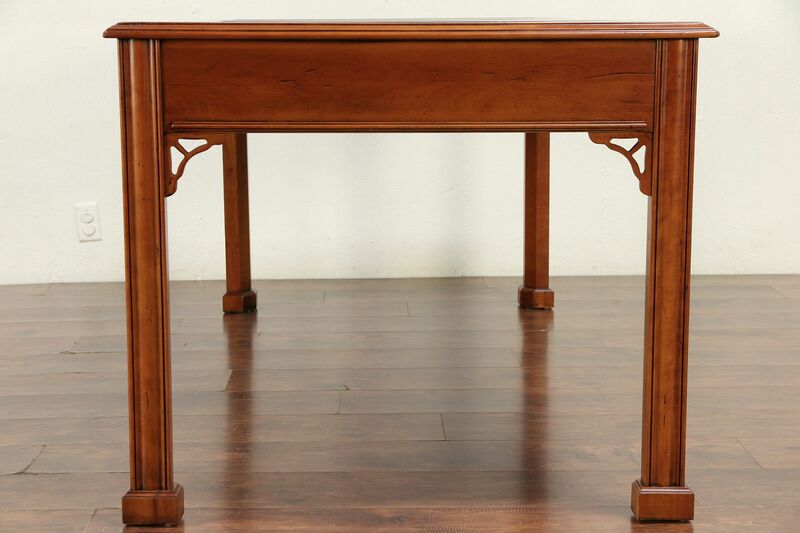 Drawers have solid cherry sides with dovetail joints on this American made vintage furniture. 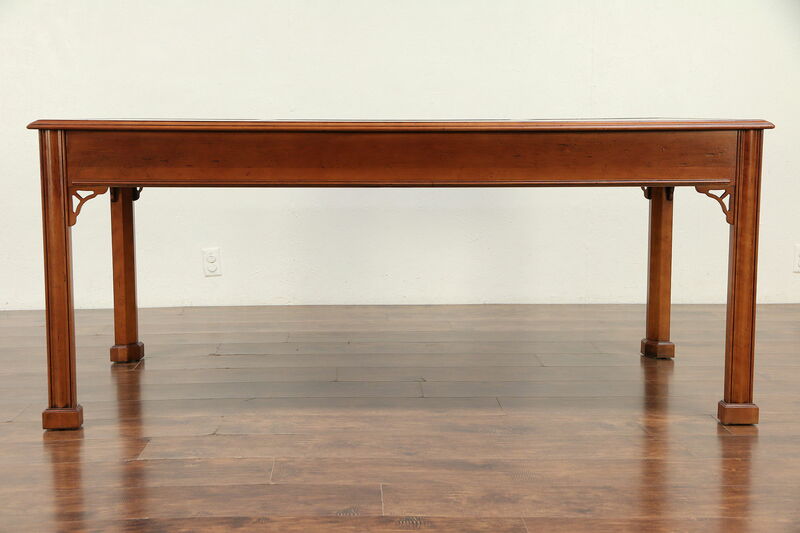 Size is 72" long, 36" deep, 30 1/2" tall and legroom is 24" underneath.